Till now our smartphones were relying on platforms like iOS, Android, Symbian for providing functionality desired by us viz. half truth is actual. Many more platforms other than listed above too released but didn’t got that glamour as these platforms already have. But as we know that every coin has two sides and same condition applies respectively with these Operating Syatems. So to beat them all or can say to give fair enough competition to the present mobile Operation Systems. 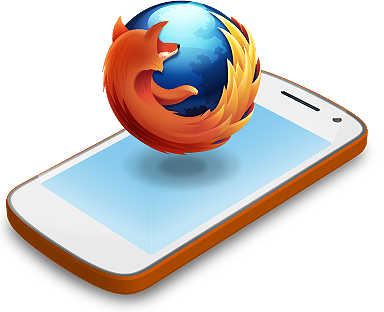 Firefox, the creator of famous and most popular open-source web browser, declared to build another open-source Operating System for the smartphones and tablets lines of devices named as “Boot to Gecko (re branded to Firefox OS)“, by January next year i.e Jaunary 2013. Due to above reason, the app development would be much easier for this OS. In fact 75% of apps on Google Play Store already work on this OS. It would Cost approx 90$ producing a Firefox OS based smartphone. Support to Almost all smartphones running on Qualcomm Processor. Support to most of the devices running on processor(>600 Mhz). The main motto of developing this OS is to harness the power of web technology in HTML5 and centralizing it at one single place, providing much larger space for users and developers to explore and workaround. Take a look at the video below to know how it looks and how it works. It is still a work in progress so somewhat choppy. This post is written by Nitish. He is a contributor to a blog related to Android Tips and writes article such as Install ClockworkMod on Micromax A110 Canavas 2.